Where your landscaping journey begins. 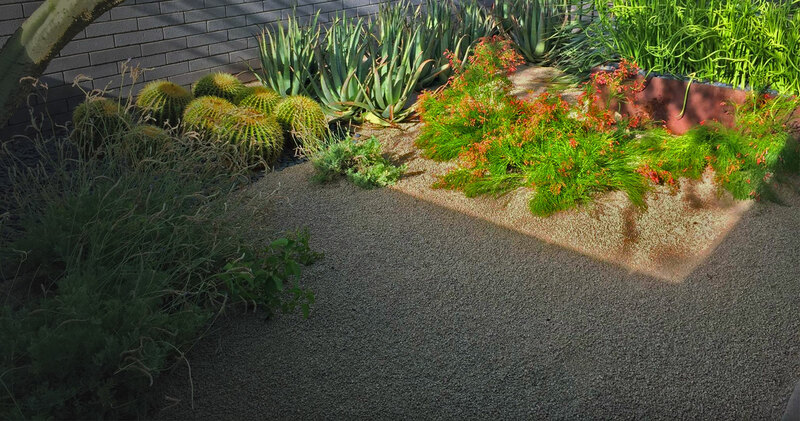 MDI Rock is Arizona's largest locally owned landscape rock supply company. If you need rock, we’ve got what you’re looking for. From 1/4”-1” groundcover and surface select boulders, to flagstone pavers and silica sand, MDI Rock has everything you need. Request a quote above if you have a specific material in mind, or give us a call and we can help you decide. With two locations in the Valley and a mining site in Northern Arizona, MDI Rock is available for homeowners and landscape professionals to come and browse our selection, pick up rock in your own vehicle, or schedule a delivery straight to your job site. If you’ve hesitated to switch to a rock landscape because you think it will be dull, you’re in for a pleasant surprise. Adding a few well-placed, distinctive plants can make your new landscape more interesting than any midwestern lawn—without drinking up a lot of water. Rock can be a great landscape element, especially in our dry desert climate, but not everyone’s comfortable working with it. Here are some tips to help you incorporate rock into your landscape in a way that adds natural beauty and character.